And I was just going to tell you what I did with my Summer vacation!!! 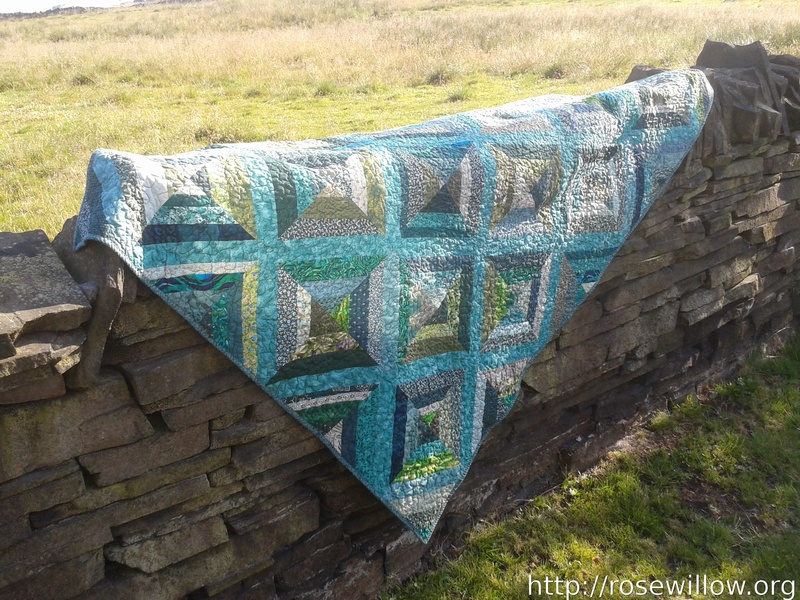 It hasn’t been a brilliant year for sewing or quilting, but I did manage to finish one project. This was a birthday present for my friend Dena in June 2013. 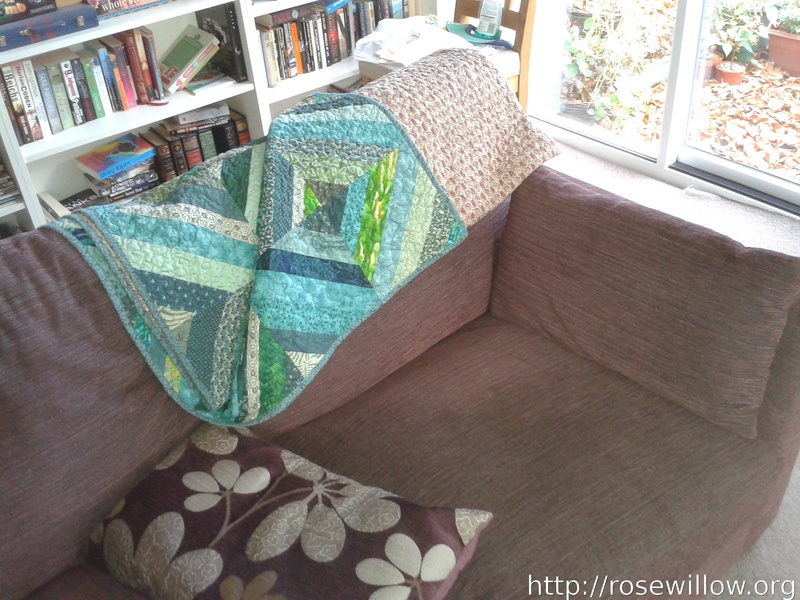 She chose this Green string quilt from my stack of finished tops needing quilting, along with a burgundy print backing fabric to match her new sofa. 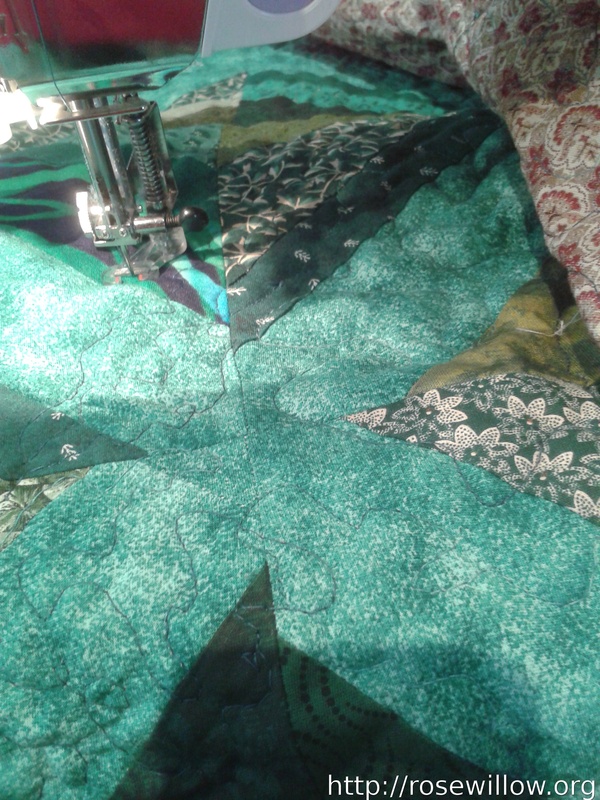 I attached the binding by machine using Pat Sloan’s method, which worked great for me. 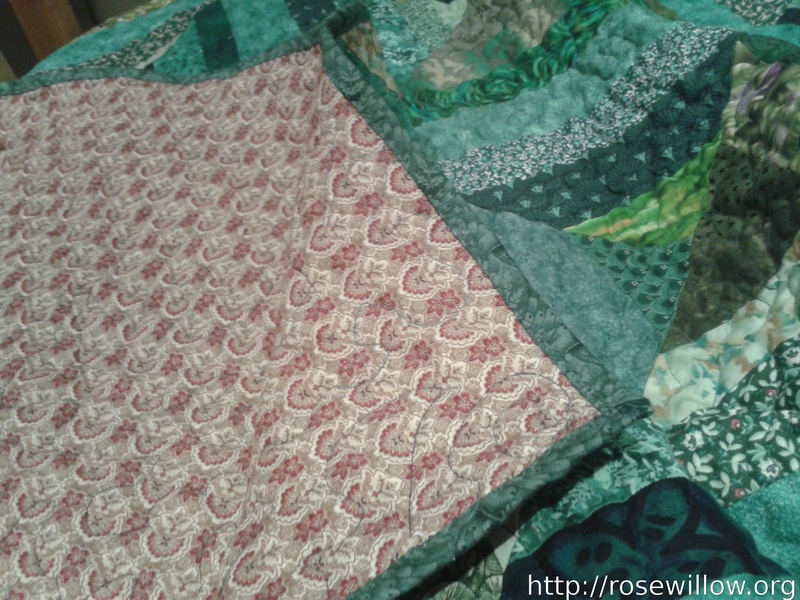 Happy Thanksgiving, and Happy Quilting, too!